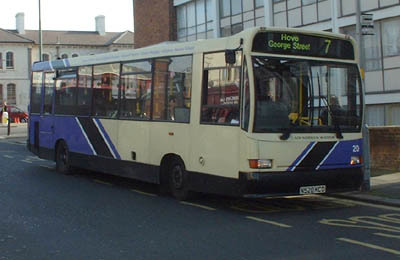 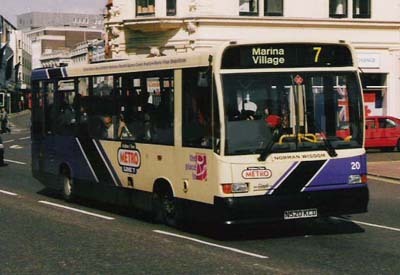 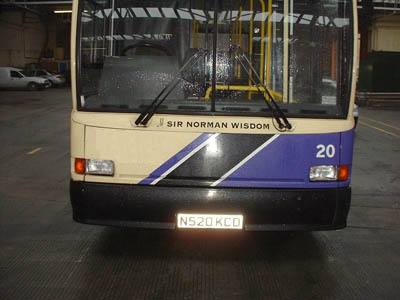 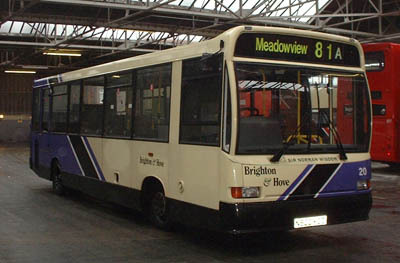 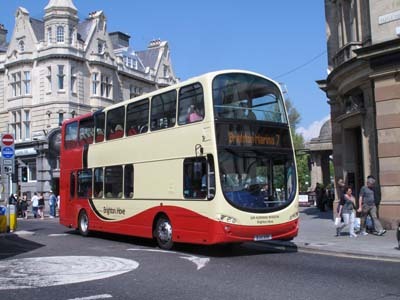 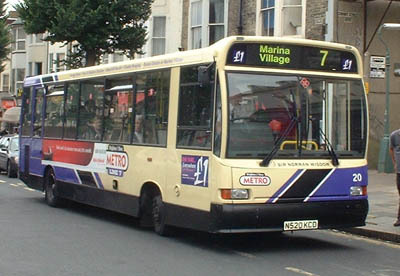 20 Dennis Dart carried name since September 1999, on METRO Line 7, originally Norman Wisdom, Sir added in January 2000, Metro removed March 2004, Brighton & Hove names added April 2004, name stayed until May 2004 when bus was repainted into new livery. 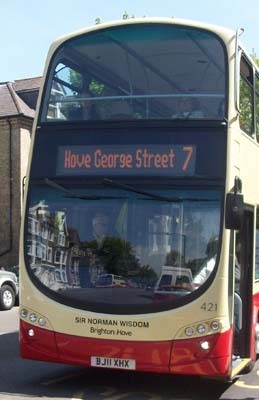 April 2011 name reappeared on new bus 421 Volvo Gemini. 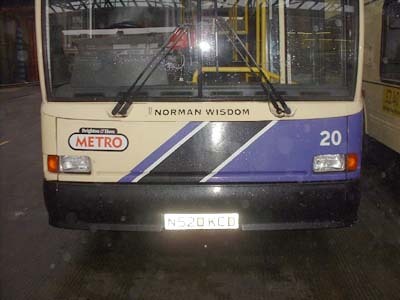 Name removed April 2015.